Many people in SW Florida believe we have a Turkey of a market. They can list all the things that are wrong with the market, wrong with the economy, wrong with what the government is doing to fix things, and wrong with how the banks are handling things. And, in many cases these people would be right. There are lots of ideas on how to fix things, and in fact we’ve covered many of them here. We’ve been quick to point out what is working, and what needs to be fixed or tweaked, so we’ve participated in these discussions just like everybody else who has lived here for the last 5 years or more. This being Thanksgiving weekend, we thought it might be nice to go over some of the things we can all be thankful for in the real estate market. 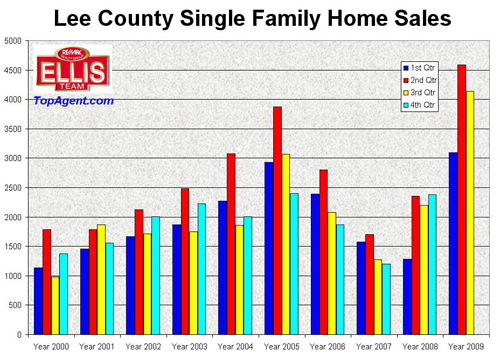 Transaction numbers were just released for October, and home sales in Lee County were up 96% over last October, so we’re continuing the trend of record setting sales, eclipsing even lofty 2005 numbers. Sales were up 7% vs last month, partly because the 1st time homebuyer tax credit was thought to expire by end of November which motivated people to close in October. If you’ve followed these weekly articles, or listened to our radio show “The Future of Real Estate” you’ll also know that we’ve been predicting since June that the median single family home sales price would begin going up instead of down, and we gave statistical reasons why we thought this would occur. As you can see from the chart, median home prices in SW Florida have risen every month since June, which is definitely something to be thankful for as well. 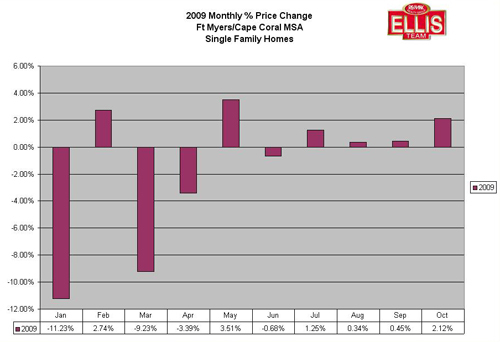 Condo median prices in SW Florida rose 14.07 % last month, but you won’t see that reported many places. Condo sales were up 143% over last year, so it’s not just single family home sales that are doing well. The first time home buyer tax credit was extended until April 30 of next year, and buyers have until end of June to actually close on those properties. Additionally, the tax credit was expanded to existing owners under certain conditions. We were fighting for provisions like this, and while Congress didn’t go far enough, the fact that they did what they did is also something to be thankful for. We expect this to help the market going forward. This year’s holiday season may be leaner and families have accepted that they’ll be giving their children less this year. Children have responded and they know times are tough. A parent’s greatest fear is they won’t be able to give their children everything they so very much want to provide for their children, but children are resilient and are supporting their parents through lean times. The truth is, children don’t need all that stuff to be happy. What they really crave is family time, and this tough economy has brought parents closer to their children. A parent who has been laid off may now take a child to school, and we’ve seen many reports where parents are now more involved at school because they have the time. Parents are spending less on fancy tech toys and kids are having fun the old fashioned way, by playing ball in the yards, card games, board games, etc. We don’t mean to trivialize the pain many SW Florida families are going through, but rather point out a few of the silver linings in a tough environment. This is Thanksgiving after all, a time to be thankful for what we do have, and forgetful of what we used to have. If nothing else, this economy has taught us to get back to the way it used to be decades ago, not 4 years ago. Society was caught up in how much we could buy, how much we could borrow, and it was fueled by rapidly escalating equity in our homes, among other things. We were taught on how to spend vs how to save. We bought things we didn’t need or even use. The market has corrected itself, and the question is, have we corrected ourselves? I think the answer is yes, many people have made corrections. When this economy returns, and there are indications some things are getting better, will we be better as a community, as a family? Sometimes it takes a kick in the pants to learn a life lesson, and lord knows SW Florida has been hit hard. At a time when few see the positives, let’s take Thanksgiving to reflect on all that we do have, and be thankful that life has taught us to get back to the basics. Tell your loved ones you love them and how thankful you are to have them. Be kind to your neighbor, as they’ve probably gone through tough times like you have. We’re all in this together. We’ll come out stronger than before, because I believe at the height of the market is precisely the point we were weakest as humans. I am thankful to be here in SW Florida. I am thankful for the friends and family I do have, and I am thankful to be back to basics. I look forward to brighter days, and together we’ll get there. Thank you SW Florida, and God Bless. We’ve been reporting for weeks now that distressed property sales are moving. One component of a distressed sale is the Short Sale. A short sale is when a bank agrees to take less than what is owed on the mortgage so the property owner can afford to sell the home at today’s lower market values. Banks in the past have taken much time to decide and some have been stingy on accepting these deals, for good reason. We’ll come back to the reasons later on. Many agents have been reluctant to show short sales to their buyers because banks have been declining a lot of these sales. We have a bit of good news to report, and that is short sales are rising. We’re not saying they happen overnight, or that they’re easy. We’re just reporting the fact that they’re happening more frequently now as banks develop systems to more adequately deal with these sales, and they realize they may lose less in a short sale than a foreclosure sale. 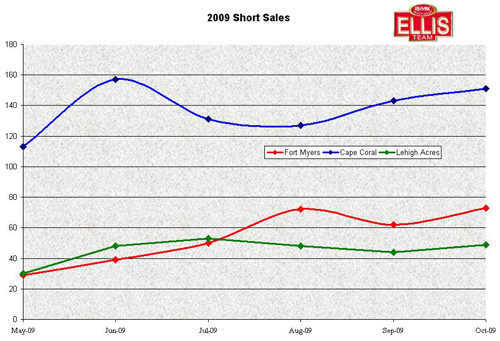 As you can see from the monthly chart, Cape Coral leads the county in short sales. 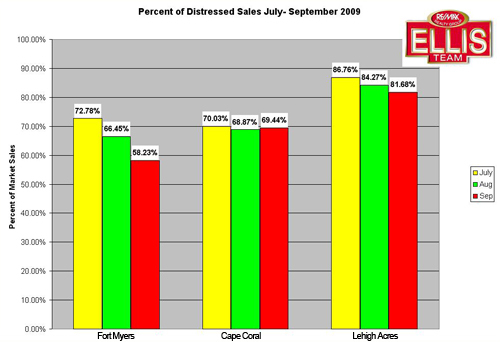 All three areas, Cape Coral, Fort Myers, and Lehigh Acres are experiencing an increase in short sales from the banks. Cape Coral had 113 short sales in May compared to 151 in October. Fort Myers had 29 in May compared to 73 in October. Lehigh Acres had 30 in May compared to 49 in October, so you can see a definite increase in banks cooperating in short sales in just a few short months, no pun intended. Why is it that banks are cooperating more? We’re not exactly sure, however we can speculate that banks have learned they lose less in a short sale than a foreclosure. Real estate agents have also learned what banks are looking for through education and are presenting better packages to the banks, which are key. Perhaps that Tarp money has freed banks up a bit to sell distressed properties. Most likely is that banks have been hiring and training people to deal with the barrage of requests and heavy paperwork load and they’re getting better at dealing with this issue. Let’s look at some of the reasons banks take so long so we can understand the delays. Banks obviously don’t want to lose money. Banks generally qualify the seller and make sure there is hardship. Being upside down on a mortgage is Not considered hardship. There must be documentation proving the seller’s hardship, and this is why our sellers fill out a complete financial survey that is included in our short sale package to the bank. The bank also wants to verify that the seller is selling at today’s fair market value, not some super spectacular deal for an investor or relative so they can make money on the bank’s losses. Keep in mind, the bank is taking less, so it is the bank’s loss. The bank wants to make sure it’s an arm’s length transaction. They don’t want a family member buying it at a discount or an LLC being used as a vehicle to transfer property to a family member at a reduced price so the mortgagee can escape being upside down. 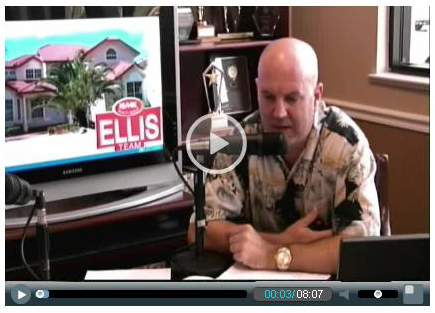 There may be more than one ban involved, and each one has limits on how much loss they will take on the short sale. They will weigh the current loss vs. and anticipated loss they may receive at foreclosure. They may wish to order appraisals before making a decision. We submit a BPO (Broker’s Price Opinion) to substantiate today’s market value with all accepted contracts. We don’t let our sellers sign more than one offer and submit to the bank due to legal ramifications. And we don’t have our sellers accept an unreasonable offer that the bank will reject, so we do all the homework upfront. Why waste everybody’s time? Because all listings agents don’t do this, buyer agents are skeptical to show short sales and waste their client’s time and money. Even if the listing agent does everything perfectly, there is no guarantee what the banks will do, and yet there are far too many listings being taken at incorrect prices and inappropriate situations, and that is bogging down the system. This is not the time to just throw something out there and Try because seller is desperate. Decisions made are impacting the buyer and seller’s lives, and a lot of time and energy is expended by all involved. It pays to do things the way the banks require them for maximum results. If you understand what the bank is looking for, and work with someone who has experience actually selling short sales, buyer agents will be more likely to show these types of properties. Agents are getting better, banks are getting better, and hopefully we’ll see more short sales go through so neighborhoods don’t have to suffer through abandoned properties and all the negatives associated with foreclosures.